Rochester, NY (March 18, 2019) – A motor vehicle accident with injuries was reported to have taken place on Monday afternoon, March 18th, according to police. The collision, which is currently believed to have involved no more than two vehicles, was stated to have happened at 3:28 p.m. for reasons that are currently unclear. According to emergency medical crews who arrived at the scene in both the north and southbound lanes of Mount Read Boulevard at Interstate 490, at least one person was hurt due to the impact of the crash. However, there has been no word released concerning the extent of injuries that were sustained in the incident. Police have not provided any details in regards to the events that led to this incident as the investigation is likely to be ongoing. No further information has been provided. At this time, we would first and foremost like to extend our sympathies to the injured victim or victims of this crash, as we maintain hope for their full recoveries. 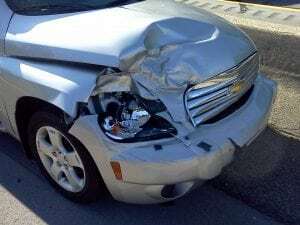 Following a New York car accident, it is terribly important to realize that, as the victim, you may likely have very significant rights moving forward, particularly in the event that you are not at fault for your injuries. At Hach & Rose, our New York accident attorneys have dedicated their lives to helping the victims of reckless drivers and other irresponsible entities. We realize that immense physical, emotional, and financial burdens commonly arise in the aftermath of a serious accident. If you have suffered injuries in a motor vehicle crash due to the actions of another party or entity such as a manufacturer, please don’t hesitate to call 212-779-0057 today.